New PDF eBook guides to help you plan your visit to view and photograph our beautiful state flower, The Texas Bluebonnet. The guides include rainfall analysis, routes, route maps and more. For the latest bluebonnet and other wildflower reports/sightings from all over Texas check the Texas Wildflower Reports section. Also see this year's Bluebonnet and Wildflower Report and download the Texas Bluebonnet and Wildflower Routes eBooks in the eBook section! Planning a trip to see our Texas Wildflowers? 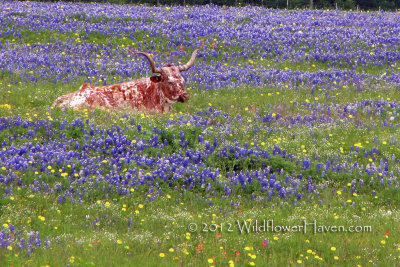 Check the Texas Bluebonnet and Wildflower Season Updates section for the latest info on when to come and where to go. Also see this year's Bluebonnet and Wildflower Report and download the Texas Bluebonnet and Wildflower Routes eBooks in the eBook section! A short blog series highlighting wildflower locations for photography and study. Currently, there are series on the Ennis area and the Texas Hill Country. Each post has some tips on where to photograph sunsets/sunrises, animals with wildflowers, and interesting structures to add to your landscapes. Brenham Wildflower Watch - Presented by the Brenham/Washington Chamber of Commerce. Community WildflowerHaven - Our forums right here! DeWitt County Wildflowers - Presented by the DeWitt County Wildflower Association featuring the Cuero area. Texas Bluebonnet Sightings - A new site that came online in 2011. Texas Wildflower Pictures - Gary Regner's wonderful site with his photos, wildflower reports, and a wildflower identification database. 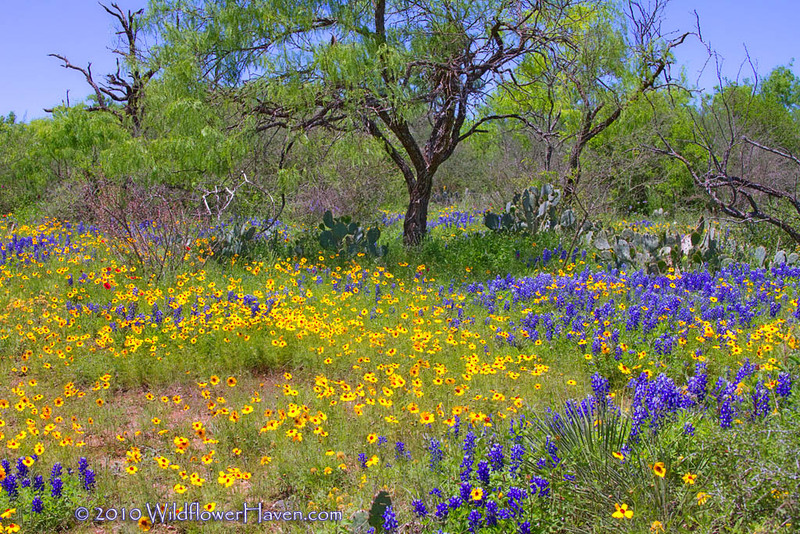 Texas Wildflower Sightings - This is the old Wild About Wildflowers site with new software. In addition to sightings, they have an extensive plant database.